SUSTAIN is a Horizon2020 European Project related to integrated care for older people that live at home with complex health and social needs. Thirteen initiatives from seven European projects participate in it. It is a project whose aim is to improve a range of things including the care centred on the individual, the coordination of teams of professionals, the preventive nature of care, safety and efficiency. In Catalonia, two initiatives (Social and Health Integration of Sabadell Nord and the Programme for complex chronic and advanced patients and the geriatric population of Osona) have participated in the design and development of projects for improvement which have been assessed by AQuAS (you can read the report and article here). 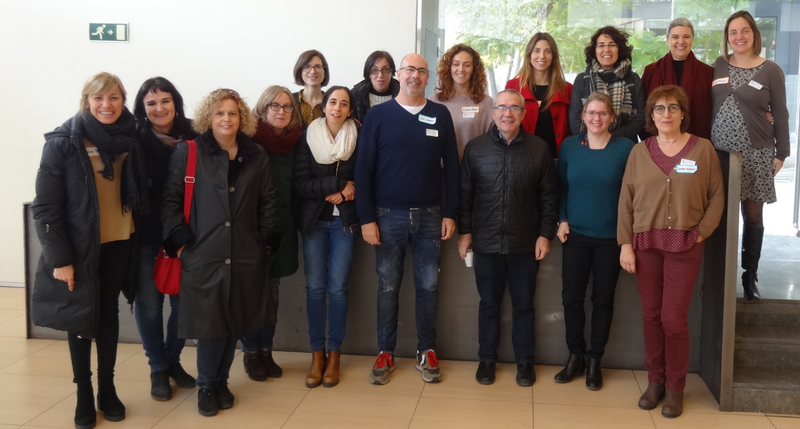 On 23rd January, 2019, professionals involved in the groups that are the driving force of the two local initiatives (Sabadell and Osona) of integrated health and social care – family doctors, workers and social workers, nurses, geriatric and management personnel- met at AQuAS in their first joint meeting. The professionals were able to share thoughts on one question: What remains of the SUSTAIN project in the territory? This was the starting point to identify specific actions that can make the projects sustainable and to also comment on aspects for improvement beyond the projects. The aim was to identify opportunities within reach of the local initiatives themselves that could serve to generate a more favourable environment for integrated health and social care centred on the individual, both preventive and reactive in nature. Provide continuity in coordination between sectors, while taking into consideration the suitability of the new PIAI method for each individual case Continuing with periodic meetings of the team of professionals in charge of the multidimensional assessment of needs so as to plan an individualised and integrated health and social care (at least of the triad of primary care, family medicine-nursing-social work). These meetings, held on a monthly basis, would enable the teams to consider who, among those users visited recently (in primary care centres, at home, at local social services, at intermediary care in the case of Osona), would particularly benefit from the integrated and participative approach of SUSTAIN, with the possible introduction of changes or objectives to improve their care and their quality of life. Inviting professionals that have not participated in SUSTAIN to use the new PIAI method, giving these professionals the necessary tools (time, training) so they can familiarise themselves with the approach of integrated health and social care centred on the individual. With this in mind, there is talk of the importance of “maintaining the spirit of SUSTAIN” and in gradually getting the most reluctant professionals more involved in introducing changes to their way of working. Carrying out an analysis of the different capacities and responsibilities of each professional in primary care teams (family medicine-nursing-social work-social health work), and sharing out roles and responsibilities ad hoc, which can enhance the skills of each individual. This could mean that professionals who officially occupy the same position (for example, family medicine) would become specialised in one or another type of care (emergency, development of the PIAI, specific pathologies), and it would mean accepting that not all professionals with the same position need do the same: “one-size-only professionals are not needed”. Enhancing the figure of the spokesperson in a healthcare team, both when dealing with a user as well as an internal coordinator of a team, emphasising that the user has a team with professionals that interact with each other in order to provide solutions to their different needs as quickly as possible. The emphasis is on the opportunity that workers and social workers have in acting as liaison officers between primary care, local social services and community resources while at the same time coordinating actions which are contained in the PIAI. Analysing how the figure of the social and health worker can best fit in In the case of Sabadell, this figure has only been incorporated very recently. An analysis will need to be carried out with the entire group of professionals that intervene in care but especially with the social workers (under contract with local social services, socio-health workers or social workers specialised in intermediary care). This will be done in order to understand their capacities and perspectives of what function each professional should have bearing in mind their particularities and the specific environments in which they work (for example, specific tools and procedures they can apply, what information systems they have at their disposal or what other professionals they are in direct contact with). Set up safe and respectful local systems with the LOPD (Spanish personal data protection law) in order to exchange the minimal information necessary to carry out a joint multidimensional assessment and to share the PAIAs among the most important professionals in each case. The example of Integrated System of Health in Osona (SISO) is mentioned, which enables primary care professionals to see which users are admitted in the hospital centres that make up the system, or the mechanism foreseen by the County Council of Osona to enable social health workers employed in health centres to consult the degree of dependency of a user. 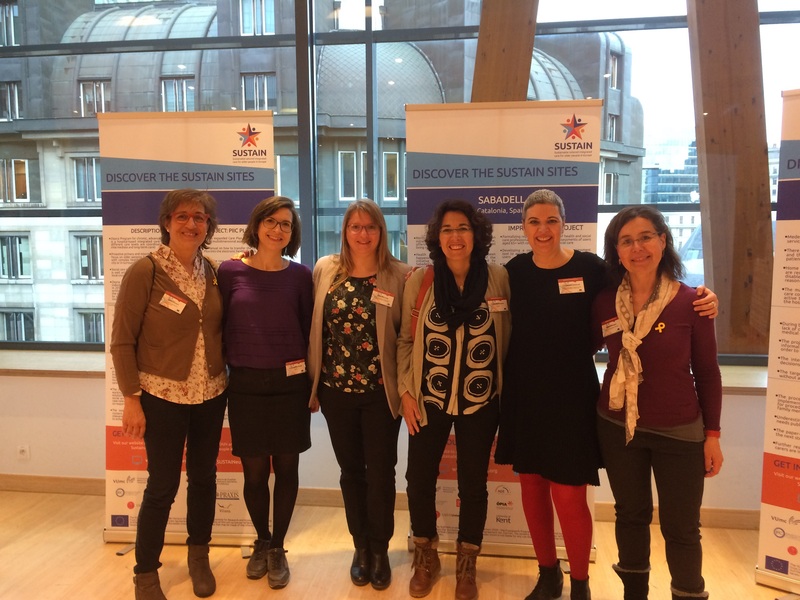 We end this post by commenting that this week we participated in the final conference of the project in Brussels. Post written by Jillian Reynolds, Lina Masana, Nuri Cayuelas and Mireia Espallargues. 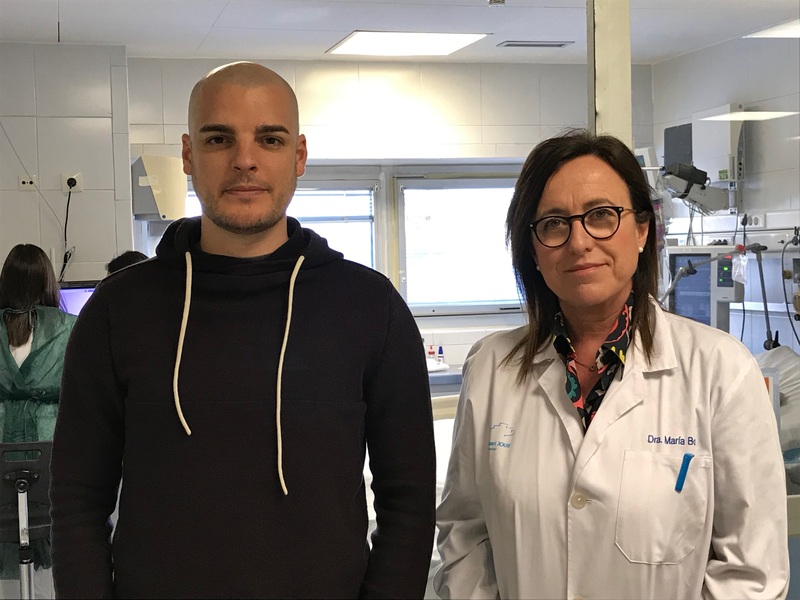 Today we continue the interview with Maria Bodí (@mariabodi23), doctor at the Intensive Medicine Service, and Josep Gómez (@JosepGomezAlvarez), doctor in Biotechnology at the Hospital Universitari de Tarragona Joan XXII, experts in clinical management and aspects of quality and safety in healthcare. In your opinion, what are the conclusions of the so-called Real World Data studies which were carried out using real data in terms of benefits and risks related to patient safety? Benefits? Everything. Information derived from a real healthcare environment is necessary to take decisions. Randomised clinical trials which have defined the effectiveness and safety of therapeutic interventions have served till now as a Gold Standard of the best scientific evidence. But they are very costly, and what is more, they are aimed at very selective groups of patients. Studies and analyses derived from the real world, known as Real World Data, mean it is possible to know the effectiveness and safety of interventions in groups of patients which are usually excluded from trials (pregnant women, older people, patients with many comorbidities who are the majority, etc…). There is a series of limitations and obstacles that prevent Real World Data from substituting clinical trials. On the one hand, legal and ethical aspects and those concerning the guarantee of the quality of data. On the other, it is not possible to accept the bias that there is when not randomising Real World Data. Before taking decisions, we need to ensure that there are no confusing factors. Real World Data complements the information obtained from clinical trials in routine clinical practice. Some weeks ago we received the visit of Lucian Leape in Barcelona, author of the extremely famous book “To Err is Human”. We were fortunate to be able to listen to him in a talk at AQuAS – were you able to listen to him? No, unfortunately we were not able to attend. It is a pity because we were told that it was a good review of what we have learnt in the past two decades in the field of clinical safety and that some good recommendations were made for the future. In your opinion, what contributions did the To Err is Human report, published 20 years ago, make? It revolutionised the field of safety. It was a paradigm shift which is still in place today. The To Err is Human report denounced the thousands of deaths in the United States resulting from adverse events which could have been avoided! People who were dying in hospitals for reasons unrelated to the disease for which they had been admitted. The most important thing is that those events, those deaths, could have been avoided. Better training, better work organisation, knowing and analysing risks and teamwork, among other factors, have been shown to be key elements that contribute to reducing the amount of events and their severity. What impact has the PADRIS programme had on your day to day? In 2016, MIMIC-II was published, a huge set of de-identified data of ICU patients of the Harvard Medical School. It was created and has been maintained by researchers at the Massachusetts Institute of Technology. They published this dataset with the aim of democratising research. The idea is that after attending a training course on the treatment of data for research, you are certified as a practising researcher and you sign a document of usage: ultimately, to enable a researcher to have access to a large data base to carry out research. In addition, it encourages researchers to share the code (data processing methodology) that they have applied to data to obtain the results they publish. Altogether, it makes studies more transparent and repeatable which in turn increases the excellence of scientific production. As a result of our experience in extracting data from the clinical information system to develop our management tool of the unit, we took on the challenge of generating our own data base to carry out research. Once created, we contacted the PADRIS programme so they could advise us regarding data anonymisation protocols and methodologies to get access to the programme in order to carry out research. They showed great interest in our project at all times and they helped us see it to fruition and thus the role of the PADRIS programme was decisive in making the Datathon Tarragona 2018 possible. We are in fact still in contact with them to define future strategies about how to make this data available for research projects without infringing any data protection law and how to broaden the database with data from other ICUs in the Catalan territory. If you could make a recommendation to other researchers who wish to do research, what would it be? We recommend they collaborate with experts in other fields, especially those related to data and statistical technology. We are now reaching a level of sophistication and volume of data that obliges us to work in multidisciplinary teams in order to make the most of data and to understand it the best we can. The datathons are a great example of this; the role of the clinician is decisive in defining aims and in validating the results that appear when cutting edge algorithms are applied by data scientists. At the same time, the role of data scientists is also decisive when suggesting and applying complex methodologies which are far removed from traditional statistics applied within a clinical context. What professional challenge would you like to succeed with in 2019? The ultimate professional challenge for 2019 is the same as each year: improving the care given to patients which are admitted to an ICU. To achieve this, we have some very specific challenges in our unit. On the one hand, to continue developing our tool to exploit data which enables us to analyse processes and the results obtained in our day to day and in this way become aware of where we need to place our attention to make improvements. On the other hand, taking advantage of the secondary use of data to carry out research and to generate algorithms for automatic learning which are able to help a doctor take the most accurate and appropriate decisions based on the profile of each disease. 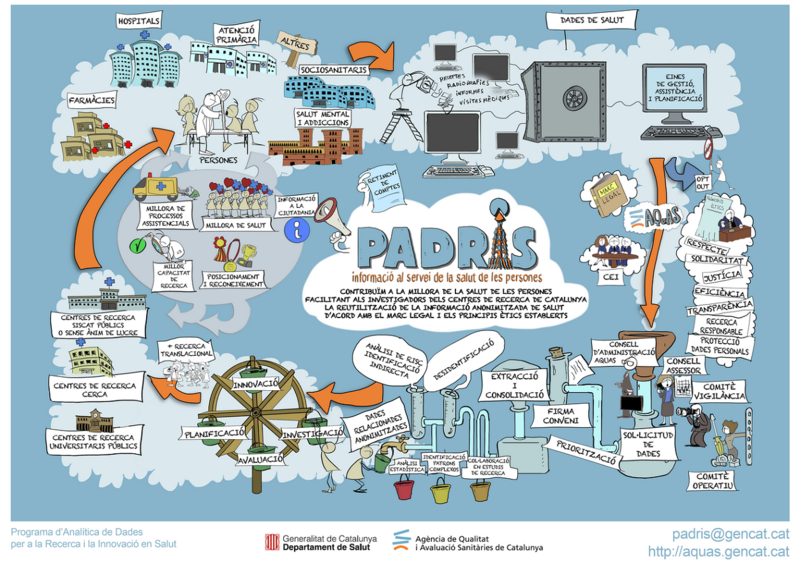 Last November, the AQuAS played an important role by means of the PADRIS programme in the Critical Care Data analysis Summit and Tarragona Datathon 2018. Talking about it has been in the pipeline since then. 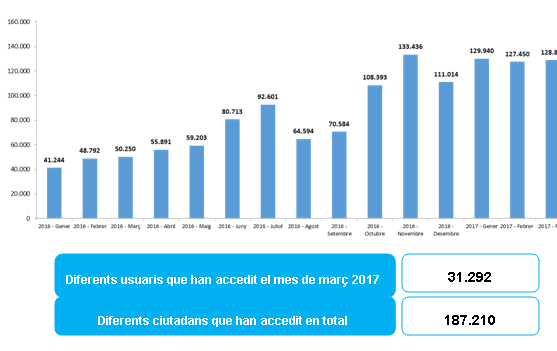 The PADRIS programme contributes to the improvement of people’s health by making anonymised health information available for re-use by researchers in Catalan research centres, in compliance with the current legal framework and established principles. Is this seen in practice based on a professional’s experience? 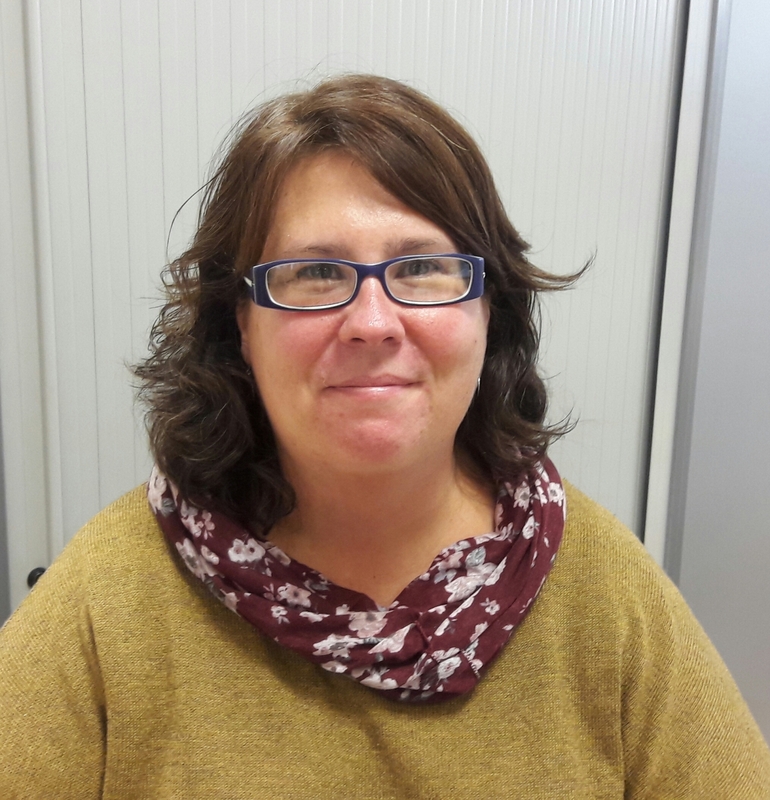 Today we interview Maria Bodi (@mariabodi23), doctor of the Intensive Care Medicine service in the Hospital Universitari de Tarragona Joan XXII, expert in clinical management and aspects of quality and safety in healthcare. Like many health professionals, she combines healthcare practice with research. As head of the Intensive Care Medicine Service at the hospital, in my day to day my basic task focuses on managing the service and organising the care for critical patients by coordinating the work of the professionals involved. More than 150 people work in the service including medical professionals (specialists in intensive medicine, resident intern doctors), nurses, nurse aids, ancillary staff, physiotherapists and secretaries. In addition, it is a service which participates and collaborates in the teaching of medical, nursing and physiotherapy degrees or certifications. I try to facilitate the participation of professionals in the strategy of the service. This requires articulating and coordinating all efforts made with a clear objective in mind, which is providing quality care to our patients. To a greater or lesser degree, it is necessary to encourage and coordinate the participation of professionals in care-giving, management, teaching and research. This will guarantee the commitment of a worker in the service’s strategy and its organisation. If we focus on medical professionals, each member of the team is in charge of a specific area of our speciality and we therefore provide ongoing training for the entire team, assess results and commit ourselves to carrying out actions which derive from the analysis of our results. What do you think about the format that was used for the Datathon? The Datathon was the result of a series of developments over recent years within the field of secondary use of data in patients’ clinical records for management and for research at a top level. The experience was very good. Pure science, with doctors, technicians and technology all at the service of real-life data analysis in order to find the best scientific evidence. In the last three years, our group has delved deeper into the study of data and also into the assessment of the quality and safety of data for secondary use. Our progress has allowed us to collaborate with other leading teams such as the team of Dr Leo Celi of the Massachusetts Institute of Technology with whom we organised this event. In your opinion, how can the quality of care be improved in intensive care units? We have to aim for excellence. We need to tackle all the dimensions regarding quality of care. We need to improve effectiveness, safety and efficiency. But when talking about good and efficient results, we are not referring to the number of actions done at a particular cost. We are talking about bringing value to the patient, to the work team, the organisation, the health system and society. How is this achieved? Our team has worked on developing a methodology which enables us to have automatic indicators of quality. This has been possible because all of a patient’s bedside devices (mechanical ventilation, monitoring, dialysis machines, etc.… ) are connected to the system of clinical information and this information, from the hospital’s clinical records, from laboratories and imaging tests, is integrated. This information is incorporated by professionals in an ordered manner. By means of these indicators designed with innovative technology, it is possible to assess the processes of care and their results. If the professional participates in the design of a process of care, in its planning, and knows how things are being done and what results there are, they get involved and commit themselves to the aims of the service and the organisation. Likewise, one needs to move from a reactive to predictive medicine, preventive and personalised. We have data with which to start working along these lines. Nevertheless, the scale and complexity of this data makes it difficult for methods of artificial intelligence to easily translate it into relevant clinical models. The application of cutting-edge predictive methods and data manipulation require collaborative skills between professionals who are medical and technology experts, as well as new models in the treatment and analysis of data. We have read that it is possible to assess risk in an intensive care unit in real time. It seems difficult to imagine this. What can you tell us about it? It can indeed. We work on the assumption that we have access to the data stored from all patients that have been admitted to an ICU, or in more than one ICU. If the combination of a group of variables (demographic, clinical, laboratory results) leads to a complication or an adverse event, a trained computer model using this data can predict the risk of the same complication or event occurring if it detects the combination of this group of variables. This is the basis of predictive medicine. Understood, but in practical terms, what is purpose of assessing the possibility of a risk? It can range anywhere from analysing a risk or predicting the appearance of a complication in the course of a disease, a problem of safety, an adverse event, the need for or an increase in dosage of a specific drug, to a specific therapy. It can predict the probability of an improvement or worsening and even the risk of death for a patient as a result of their disease. Medicine already has calculators to assess a risk of death due to a disease based on data bases created by professionals using manual registers. But these days, with the automation of data registration- an example of this being the Clinical Information Systems in our ICUs – today’s methodology based on big data and artificial intelligence allows us to have much more detail when assessing risks. When there is talk of moving towards a health model based on value, what does this mean exactly? Therefore, to push efforts for improvement, we need to base ourselves on multidisciplinary work and a health model based on value; this means changing an organisation’s business model and investing in systems of measurement, analysis of clinical results and costs. What importance do you attribute to the fact that data is obtained automatically and not manually? It means data can be analysed using one source only, errors are minimised and a professional’s time is not required for the task of inputting the data. How is the data included automatically? In the ICU, clinical information systems now enable all information to be integrated. Apart from the data which professionals input in an ordered manner during the process of care of a critical patient, laboratory results, imaging tests, clinical records and the data from all a patient’s bedside devices are integrated too (mechanical ventilation, monitoring, dialysis machines, etc…). What does “secondary use of data” mean? Primary use is that which is used on a day to day basis, at the patient’s bedside, to take decisions relating to diagnosis, treatment and the planning of the process of care. For example, a decision is made whether to increase the dosage of a drug based on laboratory results. We talk about secondary use when we refer to using data for management or for research. Obviously, the end aim is still the improvement of care for a patient. Developing a platform based on mHealth that has mobile applications (apps), a game and intelligent sensors has been the goal of the European project PEGASO Fit For Future, which began in December 2013 and ended last July. It is a platform that aims to improve both the lifestyles of adolescents (diet, physical activity and hours of sleep) and the knowledge that they might have about these life styles. To achieve this, intelligent sensors (t-shirt and bracelet) which record the physical activity and hours of sleep of an individual and also different apps which record the intake of food by means of a diary and footsteps taken by means of an accelerometer were developed and tested. 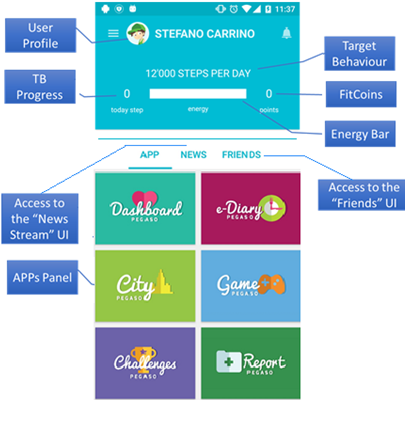 The PEGASO Fit For Future platform detects which lifestyles a user has and makes recommendations on how to improve them. In addition, it incorporates a gamification component: based on how healthy the lifestyle of a user is as well as how much their knowledge improves, which are then converted into obtaining a greater or lesser amount of points. Professionals from different areas collaborated in the project: developers of games, apps and sensors, design and gaming experts, health professionals (doctors, nurses, experts in nutrition, experts in physical activity and psychologists) and also experts in health technology assessment and public health. There were two different phases of the project: the development phase of the platform and the assessment phase. During the development phase, while some professionals put their efforts into ensuring the quality and appropriateness of the medical and clinical content of the platform, others concentrated on aspects of a technological nature. Nevertheless, the opinions of the end users themselves, adolescents, were always kept in mind during this process. In three iterative stages, boys and girls in Catalonia, Lombardy, England and Scotland tested this technology out in the different stages of its development. The proposals for improvement made by the adolescents including their preferences were, whenever possible, kept in mind for the later versions of the platform. The aim was to guarantee as far as possible that what was being developed was practical for and accepted by the end users. The last stage of the project was the assessment of the platform. The assessment of the different elements (apps, games and sensors) was to see if they really did help to improve the lifestyles and knowledge about lifestyles among adolescents and to assess the experience of the user after having used the platform. To this end, a pilot study was carried out with adolescents from Catalonia, Lombardy, Scotland and England in which 365 mobile phones with the PEGASO platform installed were used by adolescents. After six months of use, the intervention was assessed by means of validated questionnaires, a qualitative methodology and data obtained from the platform itself. A control group was introduced allowing for comparisons to be made with adolescents that did not have access to the platform. The results of this study will help to evaluate whether new technologies are practical in helping adolescents improve both their lifestyles and knowledge about these lifestyles, a population group accustomed to using new technologies and that, in general, do not often visit health professionals. Getting closer to the population by using mobile technology and the recreational aspect of gaming could be a good strategy for an intervention of this type related to the promotion of healthy lifestyles among adolescents. At a population level, it is a long-term strategy and hence the slogan “Fit For Future” of the PEGASO project. Post written by Elisa Puigdomènech. It is very common to see groups of people looking at their mobile devices in any place at any time: on holiday, at work, at home, in the underground, on the bus, in a congress, ….. wherever. It is also common to take advantage of our holidays to say that we will make the most of these days to disconnect from our routines. Does this include disconnecting our mobile phones, tablets, laptops, the TV or email? At AQuAS, as an agency involved in health assessment, we do not know this. What we do know is that there is more and more talk of connected health, a term which includes mHealth, eHealth and all related concepts, which have been a part of everyday life for some time now. 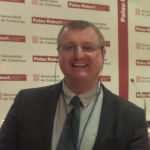 At a level of the Catalan system of health, we have in this post by Òscar Solans an example of the development of technological tools which involve new ways of interaction between patients and the health system. In this way, La Meva Salut and eConsult are useful tools when placing the patient, the person that is, at the centre of all the interactions there are with the health professionals coming from different fields. At a European level, Jean Patrick Mathieu and Rossana Alessandrello wrote about how complex the subjects of interoperability and the implementation of mobile technological solutions are, in this other post. This was the framework for the European project DECIPHER whose goal was to facilitate the access to health information from different countries and health systems. Let’s change the perspective. At an individual level, who does not have an app downloaded on their mobile phone? Which of these apps have to do with something related to health, such as weight control, for example, or as support when doing physical exercise, to keep track of menstrual cycles, fertility calendars or aspects of mental and emotional health? And no need to limit ourselves to talking about mobile devices: who has not heard of calculators for aspects of health such as calculators of life expectancy? Downloading an app is very easy and can even be free. 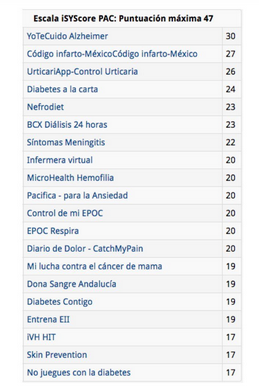 In this post by Elisa Puigdomènech, she highlighted the fact that in mid-2016 The Economist explained there were some 165,000 apps related to health. This figure must no doubt have increased. What does the success of an app depend on? What guarantees of quality and safety do they offer? Regarding the first question, the user experience was the subject on which Elisa Puigdomènech put the emphasis, based on the experience obtained in the PEGASO project. Along the same lines, Santi Gómez spoke about the fact that the development of a health application must, in all phases of its development, include the participation of those who will ultimately be the end users. And in terms of the second question, any health intervention should be safe, be based on evidence, on the best quality knowledge available and should be assessable. This is the premise with which we at the AQuAS work and this is the role that an assessment agency can play when thinking about connected health. Thus, this post by Toni Dedéu places the emphasis on the fact that technologists, assessors, professionals and citizens have the opportunity to work together and combine their expertise but not forgetting the speed of innovation. In conclusion, the assessment of connected health is a current topic. This article was recently published, and is a good example of a proposal for a conceptual framework. We end this post with an editorial about innovation and evidence which invites one to reflect on assessment and innovation. In recent years, the debate about what we should do with health apps has centred around accreditation, certification or assessment. At the same time, multiple lists of health apps recommended by a range of known and recognised initiatives have been drawn up. An example of this would be the iSYScore2017 ranking of the Fundació iSYS which was presented in the context of the CAMFiC a few weeks ago. In this context, and with the Mobile World Congress 2017 in Barcelona in full swing, we can ask ourselves what role a Health Technology Assessment (HTA) agency has when considering mHealth. There is a reality which we cannot evade. Any health intervention needs to be based on evidence, on knowledge of the highest quality at hand, and must be evaluated. This cannot be done by turning our backs on the real world or innovation. A health app is a tool to carry out a health intervention and so health apps need to be seen as just another intervention, but of course, with some characteristics of their own which will mean there is an extra demand placed on one and all. Technologists, HTA experts, professionals and citizens have the opportunity to understand each other if we want to be facilitators of recommending safe apps in health. We are not talking about initiatives that can be developed from one sector only and it is not only about apps. Now more than ever, we need to be flexible and work from a multidisciplinary position. We already talk about co-creation and co-design; quite simply, of co-produced mHealth initiatives based on the expertise of multiple agents including, obviously, citizens. AQuAS is participating in the assessment of several mHealth projects financed by the European Commission. The PEGASO project stands out, centred on promoting healthy lifestyles among adolescents, and DECIPHER, as an integral solution to facilitate the geographical mobility of patients with chronic diseases such as diabetes type 2 and m-resist, centred on schizophrenia and patients resistant to treatment. We are faced with the challenge of integrating totally different fields such as the language of technologists and developers; the speed of innovation and the culture of assessment. In addition, this needs to be done without losing sight of the key role of scientific societies and the different points of view of health professionals and end users. We know there is a lot of work to be done. Technologists and experts in health technology assessment, respectively, have the opportunity to learn a lot from each other. It is about sharing knowledge and expertise to facilitate, ultimately, health tools for citizens and professionals, which have been assessed, are based on evidence, are safe and reliable and have a strong collaborative component. 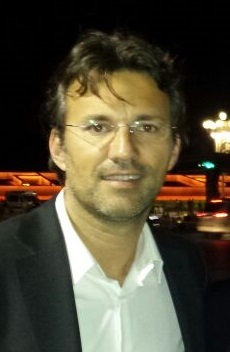 Post written by Toni Dedéu (@Toni_Dedéu) and Elisa Puigdomènech. The Economist recently published an article in which they reported that the number of mobile health applications, or apps, was in the region of 165.000, a very high figure that poses many questions. A large part of these apps are related to well-being and promoting healthy lifestyles, but what makes us choose one over another? The first thing that comes to mind is that mobile health apps, being a health technology, could and should be assessed based on their impact on health and this is where we are faced with our first problem. While there is a gold standard when assessing this impact in the area of medication and static interventions in randomized clinical trials, how is this impact assessed in a highly dynamic world? In a world that can include a range of components that users can use depending on their needs? Where pressure is added due to the fact that advances in technology are being made in leaps and bounds and we cannot wait for years before getting results? It is not that simple. 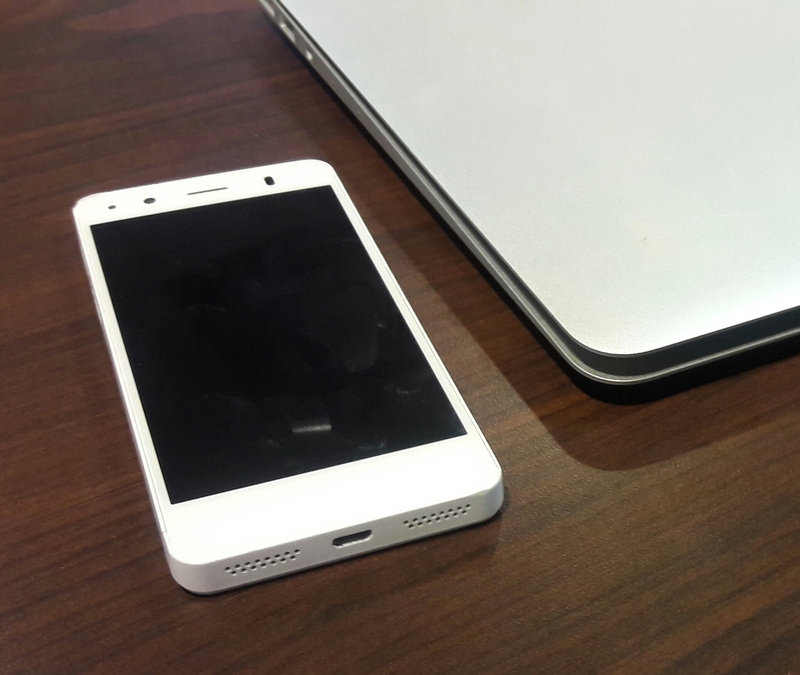 If we venture into the area of mHealth, the first thing we find is great diversity. The design, requirements and assessment of an app developed to help manage diabetes in older people is very different to an app aimed at providing a dose for some medication where improving its adherence is sought, or an app to promote not drinking alcohol among young people before sitting in the driver’s seat, or an app to manage depression and anxiety. What are we trying to say with all this? Easy and complex at the same time: the intervention that one wants to do via a health app and the target users will determine their use and their adherence. And we are only just beginning. Apart from aspects related to health and the suitability of content or other more technological factors such as interoperability and security -by no means simple-, other factors come onto the scene such as acceptability, usability and satisfaction, factors related to User Experience (UX). User Experience in mHealth is essential given that the main aim of it all is to make the tools which are being developed viable, accepted and used by the population who they are meant for, and also that the aim for which they were designed be respected. After all, the end user who has the last word in deciding whether a health app is used or not, and this is why their participation in all phases of developing these mHealth tools is crucial. Pursuing these aims of feasibility, acceptability and usability can make us reflect on, for example, the difficulty some old-age people may have when learning to use a smartphone for the first time. However, these obstacles related to the generational factor also exist among young people with new languages. We suggest let yourself surprised by this video that shows how some adolescents react and interact when using Windows 95 for the first time. The Mobile World Congress 2017 will be taking place in Barcelona next week. Monday will be one of the days circled into the diary of many professionals interested in subjects on mobiles and health with the Digital Health & Welness Summit 2017 programme. But not everything will be happening at the Mobile. Another important mHealth event will take place on March 1st at the Palau Robert in Barcelona with the DECIPHER project final event. 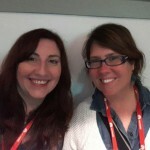 Post written by Elisa Puigdomènech and Marta Millaret (@martamillaret).